HomeMasters are the Building Inspection professionals in the Christie Downs Area, Adelaide. An inspection carried out by HomeMasters revealed termite damage to the property. We are your one stop shop, not only did we perform the building and pest inspection for this home in Christies Beach but we were also contracted to treat the home for termites. Active termites were found in the retaining walls on site. 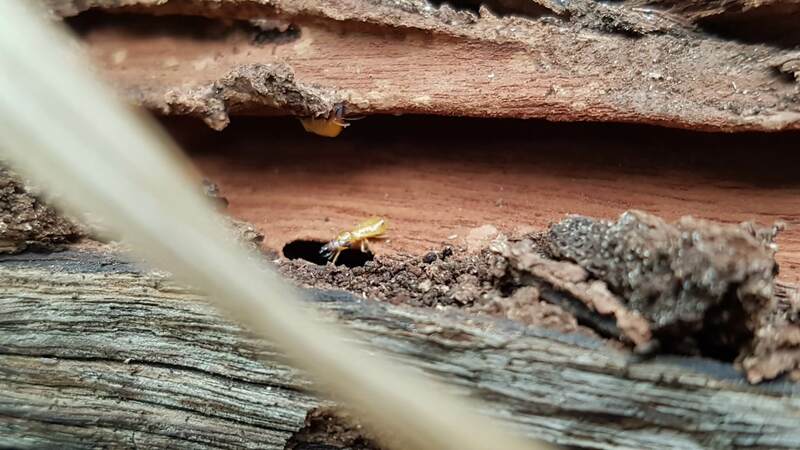 Active coptotermes which are considered the most destructive termites in South Australia and cost home owners Thousands of dollars every year. The CSIRO state that termite damage averages to approximately 8-12k before it is found. HAVING THE HOME INSPECTED PRIOR TO PURCHASE – WHY WOULDN’T YOU? A pre purchase inspection from HomeMasters will point out defects within the home, combine that with a termite inspection and cover all your bases. The cost of our inspections vs the potential heartache makes it an easy choice. We have been inspecting Adelaide and Christie Downs for over 10 years now. Trust the pre purchase professionals. With free quotes and advice, we are here to help. Call us on 8326 8885 or contact us on the form below.